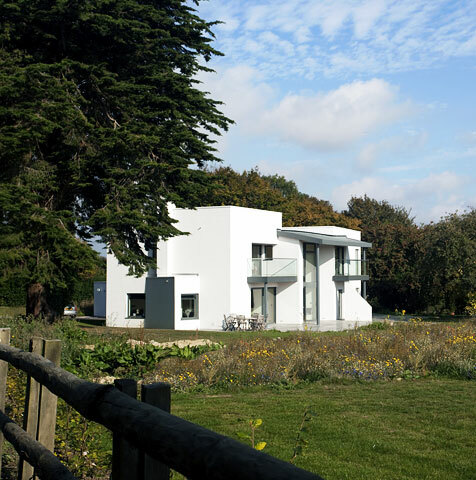 An eco-friendly house with a strong geometric ‘modernist’ design that reflects the expansive views to the south-east across the Downs and the English Channel. 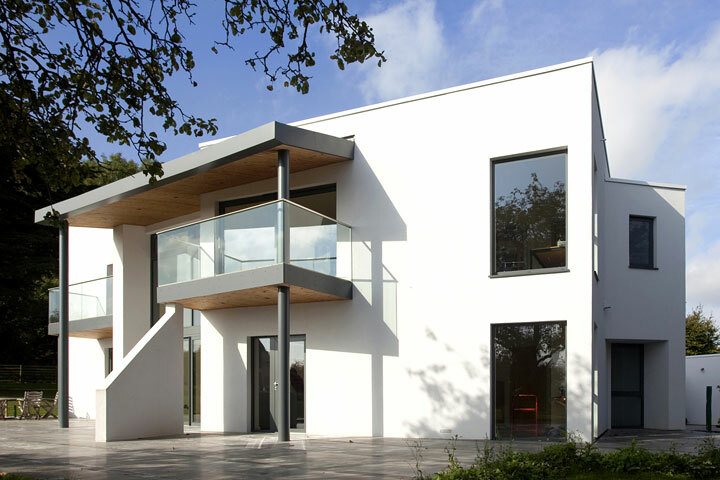 ‘Energy efficiency without an eco-aesthetic’. 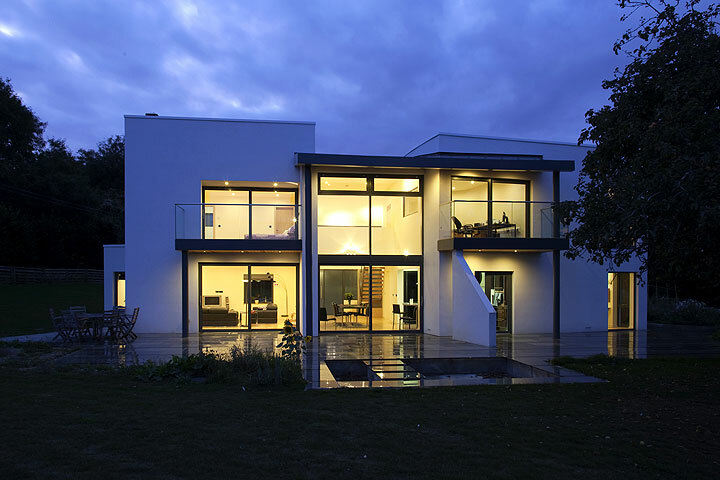 Overall winner of the 2009 RIBA Downland Prize. potentially created significant solar gain problems. By extending the curved roof over the rear, the addition of flank walls and balconies and very careful orientation of the blocks, a controllable amount of sun is allowed into the building to warm the day spaces but still provide protection from the potential of midday solar overheating.